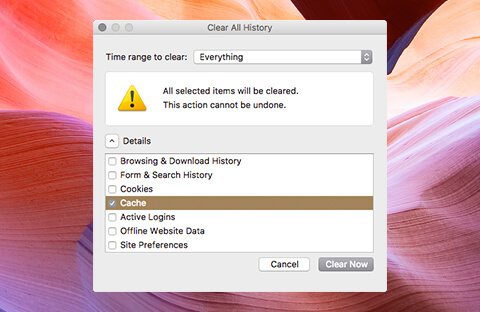 Want to know how to clear the cache on Mac? What is the cache? It’s the area where your computer stores temporary files for fast access. There are several types of cache: user cache, system cache, app cache, and browser cache. Internet browsers like Safari and Chrome use the cache memory to load frequently accessed web pages more quickly. Applications also use the cache as temporary data storage for faster startup. Here’s how problems may arise with the cache. First, even if you remove an application from your Mac, its cache remains untouched. The total size of files left behind by different applications can be as much as several gigabytes. So, deleting the files can help you free up a lot of disk space. Second, sometimes an app cache can gets damaged, which can lead to other problems: the app may stop working, slow down, or reset itself randomly. The best way to fix this issue is to empty the cache. The system cache is where temporary system files are stored. The user cache contains the temporary files related to a specific user. 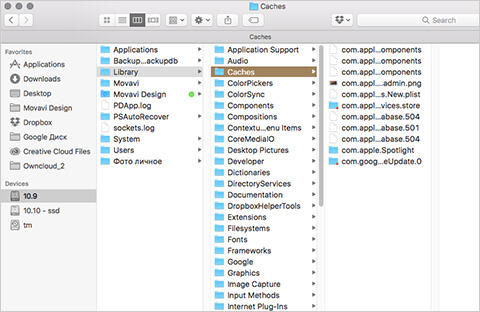 To clean out these types of cache on OS X (Mavericks, Yosemite, etc. ), proceed as follows. Open a Finder window. In the Go menu, choose Go to Folder. Type or paste in ~/Library/Caches/. In the folder that opens, you’ll see a long list of subfolders with different cache files. Go into each subfolder and erase everything you no longer need. Make sure that you delete only the contents of the subfolders, not the subfolders themselves. Don’t forget to empty the Trash once you’re done. Be very careful not to remove any files that may still be needed, as this can cause system disturbances. The app cache stores temporary files used by different applications to do their work faster. You can flush this type of cache by going through the same steps as for the system cache. Open the Library folder, then Caches, and start removing the contents of the subfolders with the names of the apps you want to target. Note that some apps keep important information files in these subfolders, so you’ll need to be absolutely sure what to remove, otherwise the app may stop working. 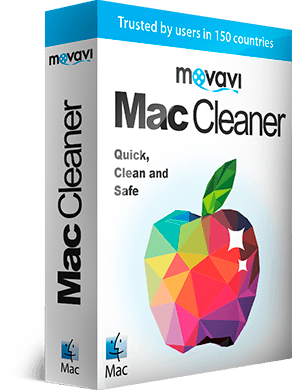 If you want to play it safe, use Movavi Mac Cleaner. 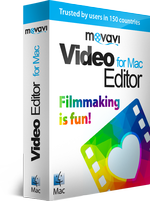 The program will help you delete only the files that can be removed safely. The browser cache is temporary storage for web data like images and scripts that make revisiting sites faster. Doing this may compromise your privacy, so you might want to reset your browser cache. See the manual procedure for deleting this cache type below – note that it’s different depending on which browser you use: Safari, Chrome, or Firefox. In the top menu, select Safari. Check the Show Develop menu in menu bar box. Click the More menu icon in the upper right corner. In the menu on the left, select Clear browsing data. In the window that appears, check the Cached images and files box. Choose the beginning of time in the menu at the top to delete everything. In the menu bar, go to History. In the dropdown menu next to Time range to clear, select Everything. Expand the Details section and check the Cache option. 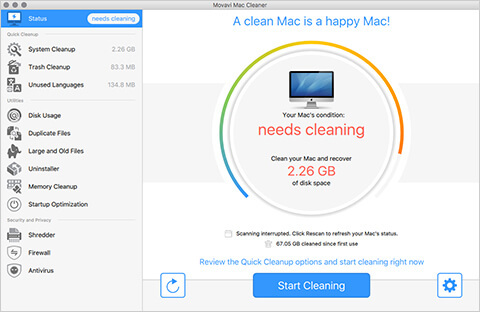 You can easily clean up all types of cache in one pass with Movavi Mac Cleaner. The software will automatically find and delete all cache files not needed for trouble-free running of your Apple computer, whether it’s an iMac, a MacBook Pro, or any other OS X system. 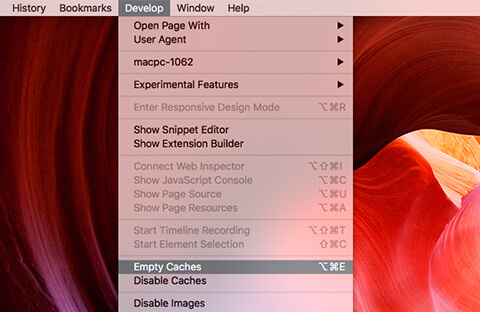 Download the program and learn how to empty all the cache on your Mac quickly and safely – just follow the step-by-step guide below. Open the file you’ve just downloaded and follow the installation instructions. 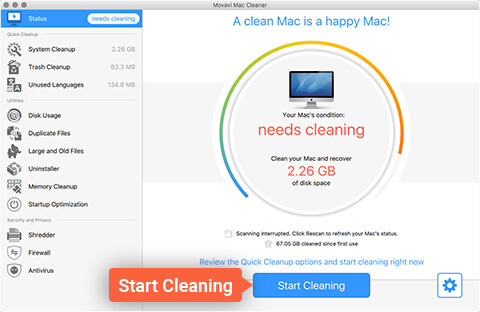 Launch Mac Cleaner and wait for the program to check for unnecessary files on your computer. Click Start Cleaning, and the program will safely remove cache/log files and clean out the Trash. If you want to remove specific temporary files, open the different submenus in the System Cleanup section and choose the types of files you want to clear (User or System Cache) as well as any individual files for removal. You can also do this from the System Cleanup main screen by using the appropriate on/off switches and the Detailed Results buttons. 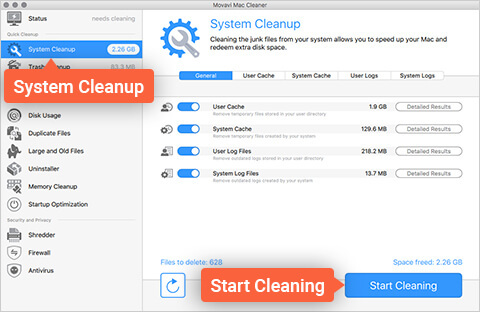 To remove unneeded files, click Start Cleaning. 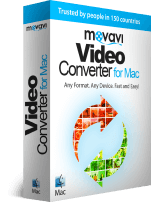 Clearing any cache type with Movavi Mac Cleaner is easy, safe, and time-saving. Try it today, and your Mac could be running faster in just minutes!